The Return of the Turkey Day Marathon! Do you miss the Turkey Day Marathons of yesteryear, when, loaded with tryptophan, you’d curl up on the sofa with friends and family for a postprandial MST session? Well, you can relive the magic once again with a special Web-only Turkey Day Marathon featuring six classic episodes curated and hosted by Joel. 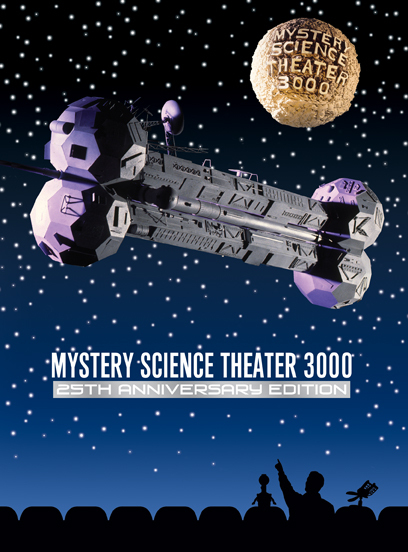 This streaming event will kick off on Thursday at 9 am PT / 12 noon ET on Thursday, November 28th here at www.MST3KTurkeyDay.com. Fans who have suggestions for episodes they’d like to see included are encouraged to tweet Joel (@JoelGHodgson) with their votes. On Turkey Day, MST-ies can join in on Twitter with the tag #mst3k. For updates on MST3K Turkey Day, follow @ShoutFactory and @JoelGHodgson, or enter your email address below.